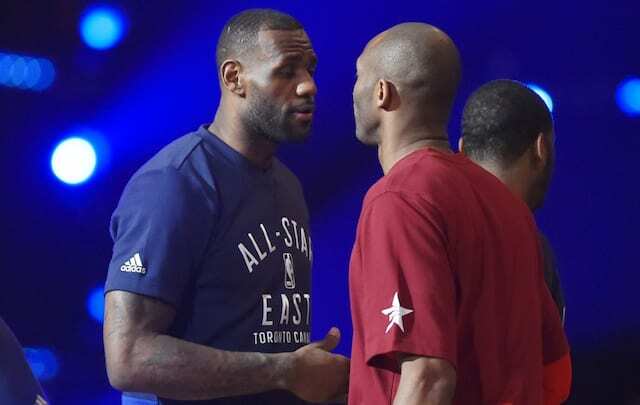 There has been some talk about LeBron James’ usage and whether he’s doing too much for the Los Angeles Lakers right now. On Wednesday night, the Lakers needed every last bit of what James brought. 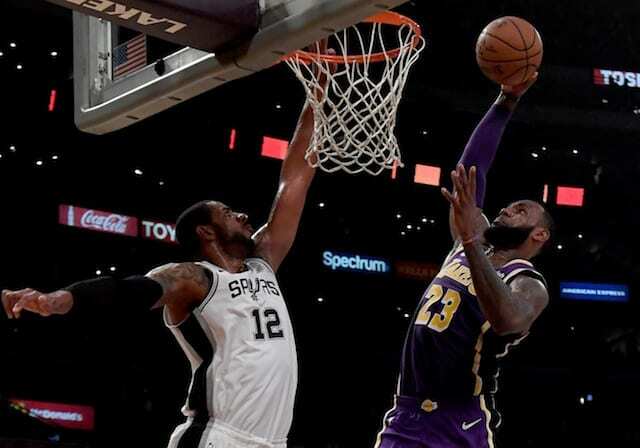 James scored 20 points in the fourth quarter, finishing with 42 overall to lead the Lakers to a 121-113 comeback victory over the San Antonio Spurs. James added 5 rebounds, 6 assists and 2 steals to lead a Lakers team that was unexpectedly short-handed. Early on in the night Brandon Ingram landed on the foot of LaMarcus Aldridge after making a jumper and was considered questionable to return. X-rays were negative and it was deemed a sprained ankle, but Ingram was unable to return. Not long after, Josh Hart picked up three fouls in the span of 20 seconds, forcing the Lakers to use every available wing to steal minutes. That didn’t stop them from holding an eight-point lead after the first, but the second and third quarters were an issue. The Lakers couldn’t get any consistent offense going while allowing the Spurs to seemingly score at will. The 37 points allowed in the third was the Spurs’ season-high for a quarter. Nonetheless, it was James who took over when it mattered most, but he had plenty of help from the young core. Kyle Kuzma continued his excellent stretch with 22 points, 9 rebounds and 5 assists, including a couple of great looks late in the game for Lakers baskets. Additionally, he took on the challenge of guarding Spurs All-Star DeMar DeRozan with Ingram out in the fourth quarter, and forced him into tough shots on a number of occasions. Lonzo Ball finished with 14 points and 9 assists, making a couple of late threes. All six of Josh Hart’s points came on a pair of clutch 3-pointers. Tyson Chandler was also a team-high +27 with 9 rebounds in 28 minutes. DeRozan continued his strong play against the Lakers, finishing with 32 points while Rudy Gay also had a season-high 31.